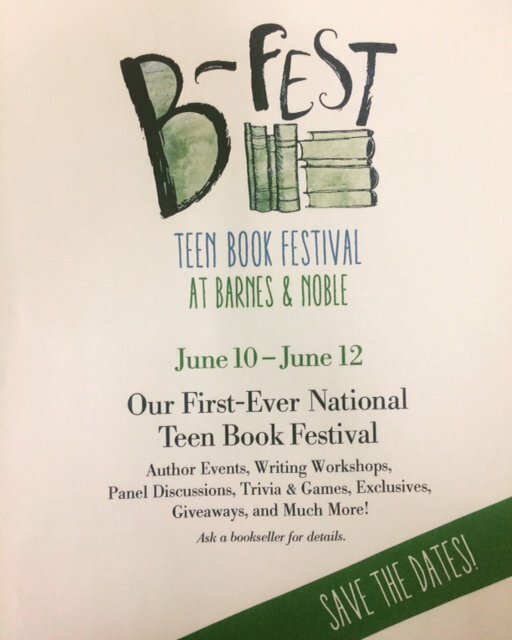 I’ve been invited, like totally out of the blue, to be one of the authors at the Teen Festival thing at the Hadley, MA B&N! Look, if you’re in New England and want to have a copy of my book signed by me in person like face-to-face and all that, I’ll be on Sunday 12 June at 3PM EDT. This, by the way, would be some of that other 10% stressful stuff from my previous post. Ugh, so I promised a short story related to Ready or Not. It exists. It has for awhile. It just hasn’t got typed yet. Lots and lots of reasons, all of them come down to serious stress. 90% of the problem comes from I’ve had to spend the end of winter and all of spring looking for a new place and then moving. Simple version: landlady ran into some financial woes that lead to her changing what her use for the place I was living were to be … and therefor no renewal of the lease. Things are looking … mixed now. Hate new place, but finances have got hella stabilised, and only look to improve. I have a contract to write a scifi novel for a publishing group and haven’t even got started and barely remember the idea I had. Yay. Totally happy: went to a new Korean restaurant in North Adams last night for dinner and it was awesome. I’ve reverted to generic non-biography bios. This is because I realised something: I can’t be representation. I could be a perfect fiction. Even if I had a picture of my face instead of that faerie, how’re you to know that’s my face? Okay, see me at a convention? Does romance fiction have conventions?! See me at the market? What’re the odds? Too, what’re the odds you’d recognise me? Authors, once they’re in the hands of a reader, are not people. We’re a collection of letters following the word ‘by’, commonly referred to collectively as a by-line. I have books I love I couldn’t tell you who wrote them. If I can, I can’t tell you if that person is black, white, male, female, gay, straight, human, or other. I also don’t care. I have books I love, I can’t usually remember the titles of. Because it doesn’t matter. True, if I were to borrow the book from a library the author’s name, the series title, and/or the book title would be a big thing to remember for the finding of the book again or for the going to the bookstore to purchase myself a copy. Once I’ve memorised its location and appearance in the library, I need never remember another detail about the book. Once I own a copy, I only ever have to remember where I put the damned thing or what the cover image looks like in my iBooks library. I strongly believe my life growing up would have been affected in important and positive ways by better representation of those demographics to which I belong. Some far more so than others. But that’s the job of the characters in the stories, in the movies, in the TV shows. The only people who matter as people themselves are the faces of the advocacy. Jazz Jennings matters because she isn’t a character, she’s a person who puts a name and a face to trans-youth rights. Ms Cox is a couple of things, so who she is matters in myriad ways. Do I care that the person playing the trans-woman in The Dutch Girl wasn’t trans? Nope. Would I care if I learnt the director refused to consider/audition trans-women? Probably. Would I care if I learnt that trans-actresses auditioned, had better auditions, but didn’t get the role? Absolutely. The character matters, not the person playing it. The actor is not the character and vice versa. The actor may put some of themselves into the role; conversely they may take away part of the character when the final scene is finished, but they’re not the same person. Exceptions exist. An all male cast of A League of Their Own isn’t automatically horrible, but it’s automatically highly suspect and had better damned well come with a damned good explanation. If the explanation is that every female actor who showed up stunk, genuinely sucked, and the only way the movie was going to exist was to take these male talented folks and put them in a whole lot of makeup … weird, very very very weird, but okay, whatever. The average reader doesn’t follow the authors they like. I’m not even an average reader and yet I follow authors I’ve never read a single book or short story by and never intend to; I don’t follow almost every author I do read … the majority the few I do I could count on the fingers of my left elbow how many blogposts/twits/FB posts by them I’ve ever once seen. I’m going to keep the blog because it’s a good outlet for my thoughts and feelings. It’s got links to my work, on the off chance someone finds it before they find me in iBooks/Amazon/etc. But I don’t expect people to read my books as a result of reading my blog, nor do I expect people to read my blog because of my books. And so far not only are those assumptions correct, but they hold true to the norm for other authors and their social media presences. I’m on Tumblr, Twitter, and here. The former two are almost entirely auto-posts of this blog, but if you like subscribing to things from those rather than separately subscribing through my blog I understand and it’s why they exist. I do sometimes put other things I find interesting, or things I want to say on those that I don’t put here. That’s because they’re a better media for saying something quick and offhand than an actual blogpost is; and they’re better equipped for sharing things I find interesting from other people’s shared content. I’m not going to make any secret of anything about myself, I’m just not going to have bio sections that advertise anything about me because I do not want people to read my work based on my sexuality, gender, etc. I want you to see the cover, notice the book, read the blurb, check out the sample, then (I pray) purchase it. So a few of you may have noticed I don’t have a Facebook page anymore. That’s why. Only a few people had it liked, Facebook’s algorithms meant even I never saw my posts, and I really don’t like Facebook for a number of personal reasons that meant it was foolish to keep it. Really, I would keep it if Facebook acknowledged that people who like a page might actually want to see its posts. I mean, plenty of automated methods of posting, after all (clearly as I never actually use my personal FB account which was the admin for the Author page). But they don’t, so I shan’t be bothered about it. That’s one less thing in the universe I have to keep up with. For what?! Oh gods Now & Forever is cancelled?! No, nothing at all like that. But related, tangentially.